Objective here is to use the A/D converter on Arduino to read input sound and light up a set LEDs to reflect the level of the sounds volume. The LEDs are controlled from Digital pins 3, 4, 5,6. They are turned on based on what the level of input is from the Analog 0 pin, which is connected to the headphone jack. 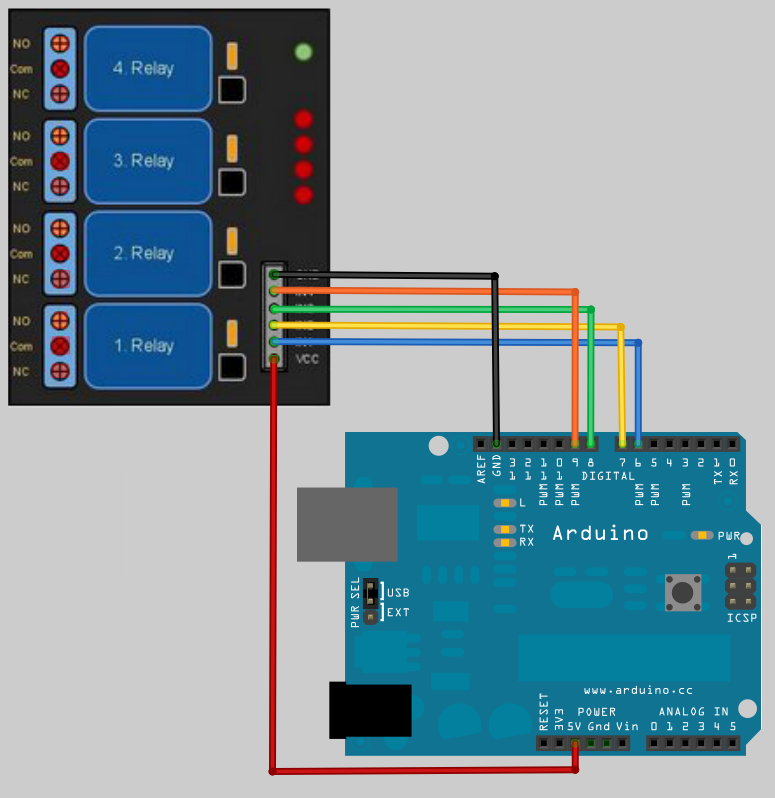 // Provide power by using the analog inputs as normal digital pins. Links to projects that helped with getting this project working.